Through our school’s Vision and Values, we encourage our children to be caring and supportive of each other, our parish, our village, the wider community and the world. We put our Vision and Values in action by setting a specific value to focus on in school each month, celebrating important Christian events, supporting our village community, celebrating British values and culture and helping raise funds for charities. Each month we promote a value chosen by the school. Our monthly values help our children to better themselves as individuals and support each other as a school community by focusing on practising and improving a particular personality trait. We encourage our children to consider the needs of those who are less fortunate than them both in the UK and across the world. We hold events to support a range of charities, including: NSPCC, Help the Aged, Poppy Appeal, Comic Relief, Sports Relief, Macmillan and Children in Need. We chose a charity of the month to support and in-between hold non-uniform days for our PTA. We join in with the World’s Biggest Coffee Morning which is Macmillan’s largest fundraising event. Macmillan raises funds to help people living with cancer to live life as fully as they can. Children are invited to donate cakes (homemade or bought) for our Macmillan Coffee morning stall. Children and parents are welcome to join us at drop-off for a cuppa and a cake, for a small donation towards Macmillan. We hold a pre-loved toy and book sale to help Pudsey raise funds for Children in Need. Children are invited to donate good quality second-hand toys and books to sell on our stall. We also have a non-uniform day where children and staff may come to school dressed in pyjamas or spots for a small donation. Parents and well behaved dogs are invited to join us for a lovely morning ramble around the village after drop-off. The Poppy Appeal is the Royal British Legion’s biggest fundraising campaign, It is held during the period of Remembrance, a time when we remember and thank all who served, sacrificed and changed our world. At school, poppies and other exciting merchandise from the British Legion are sold to raise funds for the Poppy Appeal. Comic Relief raise funds to support vulnerable people and communities in the UK and internationally. Their vision is to “create a just world free from poverty”. Red Nose Day is a day of fundraising activities for Comic Relief. To help raise funds for this worthy cause we dress in red and hold various activities such as telling jokes and playing fun games. Sport Relief believes that “everyone deserves the right to live happier, healthier and safer lives”. The money they raise goes towards tackling critical issues affecting people across the UK and the world. They currently support more than 2,000 projects, including: helping more than 50,000 people in the UK living with a mental health problem, treating over 900,000 people across Africa with anti-malarial drugs and helping over 3.4 million people in Africa with maternal, neonatal and child health funding. We choose to get active for Sports Relief by hosting our annual sponsored Fun Run. After a short warm up, we run around the school field as many times as we can, endeavouring through the pain for this worthy cause. Our school choir led by our Choirmaster Miss Siân Phillips, along with almost 30 other school choirs, takes part in the Children Singing for Children event at St Mary's Church in Banbury. 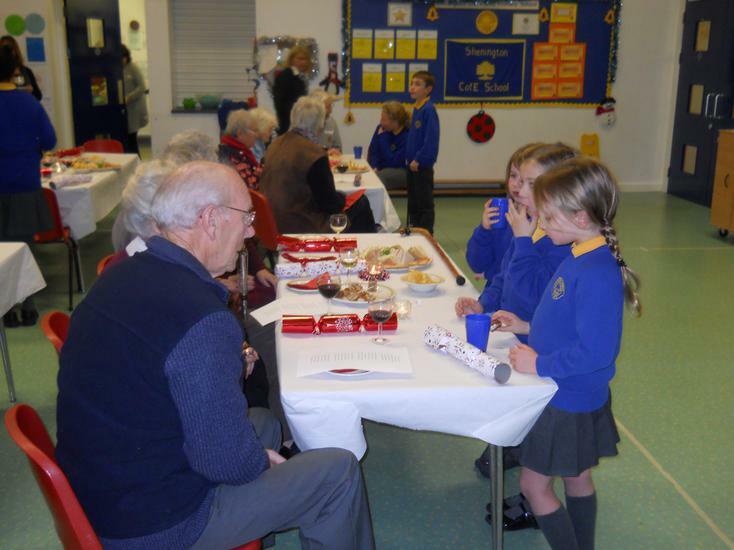 Organised by the Banbury Rotary Club, the money raised is split between the following charities; The Sunshine Centre, Schools Projects in Freetown, Sierra Leone and Mariana School in Gambia, and Hope and Homes for Children. We attend a Harvest Festival service at our village church, Holy Trinity Church. All the classes take part in the service, giving thanks for the food we grow. Children are asked to bring in dry or tinned food which is donated to the Banbury Foodbank who help local people in crisis. At Christmas time we receive a special visit from a Swedish Choir who sing beautifully and deliver a very moving performance. Towards the end of the show, our children have the opportunity to join in with singing Christmas Carols. 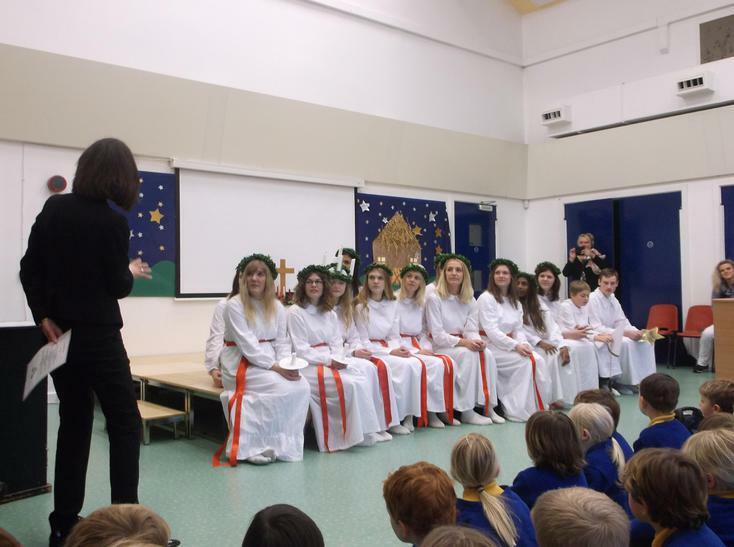 The word nativity is taken from the Latin “nativus” which means “arisen by birth.” Key Stage One take to the stage for their nativity performance, retelling the wondrous story of Jesus’ birth as depicted in the Gospels of Matthew and Luke. Key Stage Two, supported by Mrs Sarah Brown our Drama Coach, also deliver a polished production as part of our Christmas festivities. 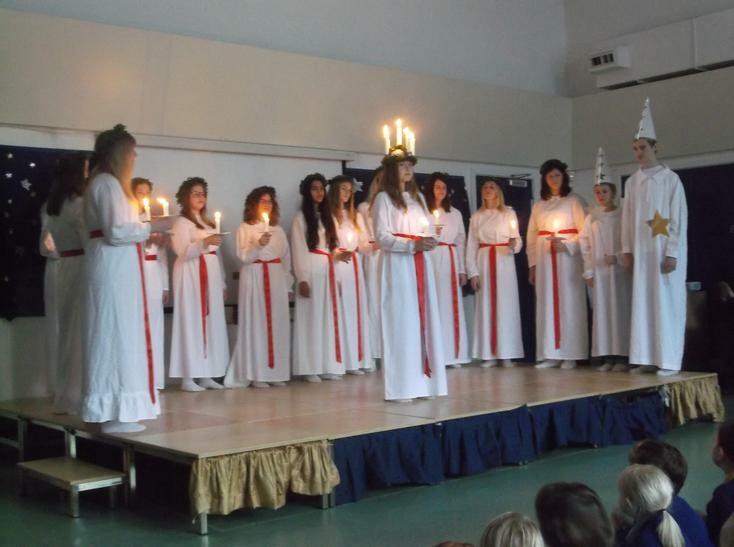 As part of our Christmas festivities we hold a Carol Concert at school. Parents are invited to come along and join in with the fun. As a special treat, our school staff put on an impromptu pantomime much to the delight of our children and parents. We attend a Christmas Service at our village church, Holy Trinity Church, to celebrate the birth of Christ. Lent is the period of 40 days (not including Sundays) leading up to Easter. Lent starts on Ash Wednesday and climaxes during Easter Week. The last week of Lent is called Holy Week. Lent is an old English word meaning “lengthen”. During Lent, Christians remember the time when Jesus went into the desert to fast and pray before beginning his work for God. During this time Jesus was tempted several times by Satan but was able to resist. Our children are encouraged to give up something they really enjoy for the duration of Lent as a test of their own self-discipline. We attend a Lent service at Holy Trinity Church where each class makes a presentation. We also investigated what Lent is and its meaning for homework. Maundy Thursday is part of the Christian celebration of Easter and commemorates the night of the Last Supper as told in the Bible. At the Last Supper, Jesus commanded that we should love one another and washed the feet of his disciples as an act of kindness. The word Maundy comes from the Latin word “mandatum” which means "command." We celebrated Maundy Thursday with our traditional egg roll, an Easter Bonnet parade and an Easter egg hunt. We also take part in a collective worship service where the staff wash the feet of some of our children to represent the act that Jesus performed on this day. "A new commandment I give to you, that you love one another: just as I have loved you, you also are to love one another" (John 13:34). St Andrew is the patron saint of Scotland. People celebrate St Andrew’s Day by going to a ceilidh (party) where they do traditional Scottish dancing. The national flower of Scotland is the thistle. We celebrate St Andrew's Day in a school assembly. St David's Day honours the patron saint of Wales, Dewi Sant. People take part in eisteddfodau (festival of music and poetry) and Noson Lawen (party). Welsh national symbols include the daffodil and leek. We celebrate St David’s Day with a school assembly. St Patrick, the patron saint of Ireland, is honoured for bringing Christianity to the country. The shamrock is the national flower of Ireland, as it is thought that St Patrick used it in his teachings. People dress in green, wear shamrocks, dress up as leprechauns (bearded Irish fairies) and enjoy Irish dancing. We hold a school assembly to celebrate St David’s Day. England's patron saint is St George, he represents bravery as according to the legend he killed a dragon and saved a princess. People take part in music festivals and re-enact medieval dragon-fighting tournaments to celebrate St George’s Day. The national flower of England is a red rose. We celebrate St George’s Day by holding a school assembly and we love to fly the flag. In the medieval times, the church used religious storytelling to communicate moral lessons to society. It was through these performances that the idea of theatre was born in Britain. William Shakespeare (Bard of Avon”) is often called England's national poet and is considered by many to be the greatest dramatist of all time. He was from Stratford-upon-Avon in Warwickshire. Our Key Stage Two children, supported by Mrs Sarah Brown our Drama Coach, perform polished productions both in the Summer and as part of our Christmas festivities. Sometimes, if the British weather permits, we are treated to an outdoor Summer performance. Christmas just wouldn’t be the same without a traditional British pantomime, a rather eccentric production, based on well-known children’s story. In good British humour and as a special Christmas treat, our school staff put on an impromptu pantomime much to the delight of our children and parents. This extravaganza is not to be missed! A British summer would not be complete without a picnic on a tartan blanket braving the unpredictable British weather. Interestingly, picnics are thought to have originated in France in the 18th century, “Piquenique” is the French word meaning “an outing with food to share”. However, the concept of a picnic being an outdoor affair did not come about until the 19th century. Picnics in Britain evolved from the elaborate traditions of portable outdoor feasts enjoyed by the wealthy, medieval hunting feasts, renaissance-era country banquets and Victorian garden parties. Picnics became really fashionable in the Victorian times, when they appeared in books by Dickens, Trollope and Jane Austen and paintings by Cezanne and Monet. However, they only became accessible to all classes with the publishing of Mrs Beeton’s book, “The Book of Household Management”, although they were still grand affairs. We hold an annual Garden Party where children and their families join us for a traditional British picnic on our field. 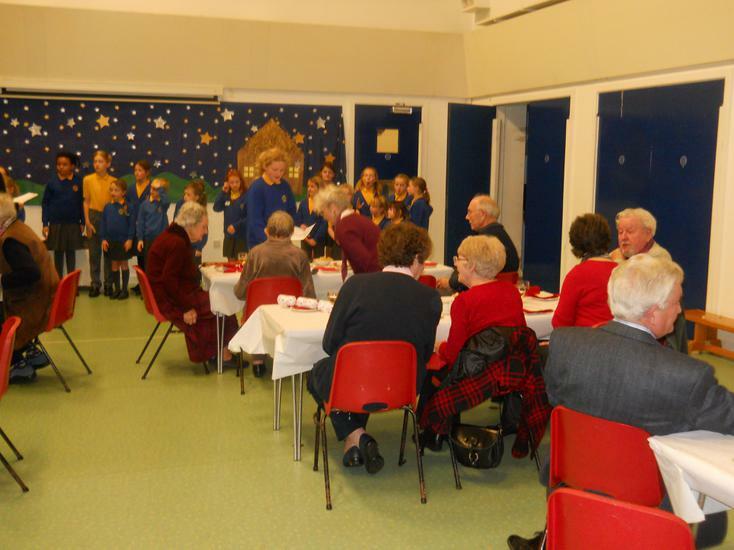 Children bring in food to share and entertain the crowd with dance, music and singing recitals. 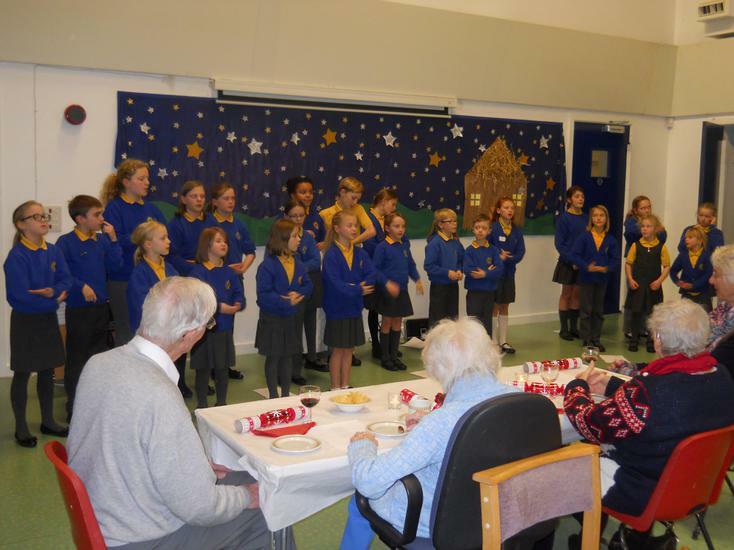 We support a delightful Christmas Tea for the senior residents of the village. Members of the governors, staff and pupils support the Village Church Fete held on the second Saturday of July. Children are invited to donate prizes for the tombola. Some of our children perform dances with their dance school. It is a lovely way to spend a sunny Summer afternoon and support a worth cause - our local church, Holy Trinity Church. We care about our village and environment, so once a year we try to make a real difference with a litter pick around Shenington. Cherwell District Council kindly supply us with litter pickers and bin bags. The children, in their high visibility jackets, are proud to be litter heroes.